The one unanswered question in Bollywood is 'Who is playing the lead in Dhoom4'? Finally, there's an answer for this question. Salman Khan has finished his schedule for the film 'Tiger Zinda Hai' and was spotted at Maldives chilling out with his family a week ago. It is now reported that Salman Khan has signed Dhoom 4 under Yash Raj Films. The Dhoom series is the most exciting series in Bollywood which had Aamir Khan playing the lead in its last series. Now, fans are eagerly waiting to see Salman in Dhoom avatar. 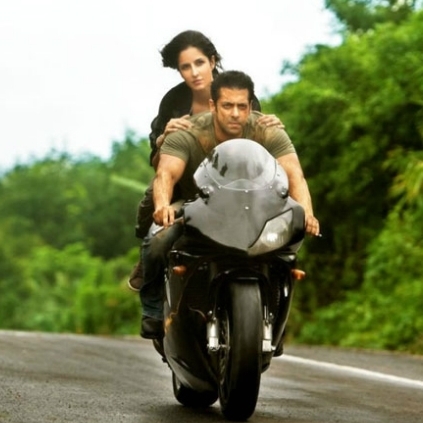 It is also said that both Salman Khan and Katrina Kaif have signed for Dhoom 4 under Yash Raj Films. Abhishek Bachchan and Uday Chopra will be retained for the project with few more inclusions in the casting. Dhoom series has always been magnificent, exotic locations, super-racing bikes, with sci-fi scripting. And now after hearing Salman's confirmation, the expectations are bound to soar. People looking for online information on Dhoom 3, Dhoom 4, Katrina Kaif, Salman Khan will find this news story useful.